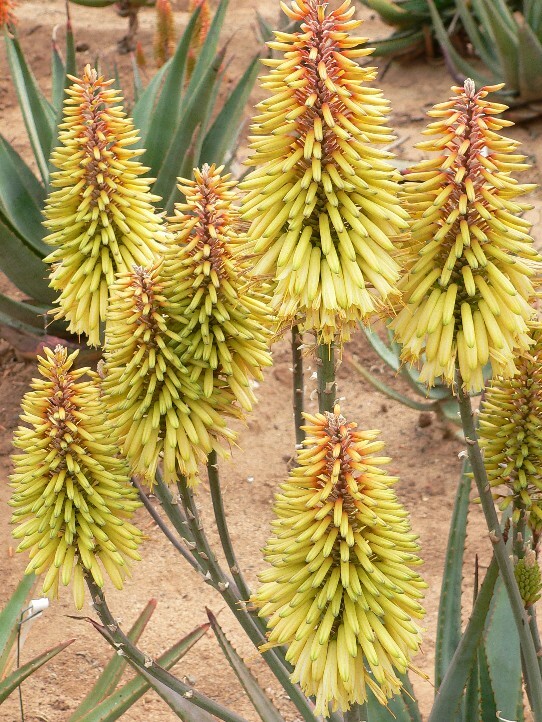 Wonderfully compact, pale yellow flowers appear on this medium sized, slow stemming aloe from an early age in mid winter. Young Moonglow plants can produce numbers of stem shoots, often close to the size of the main rosette. In this case I would leave the one or two largest shoots and remove the others. 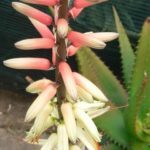 In this way the first flower is not unduly delayed but the grower has the foundation for an awesome flowering display. Smaller shoots should be removed as soon as they have grown enough to ensure a clean cut close to the main stem. 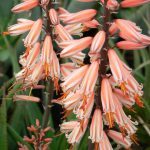 A mature plant has one of the best flower to plant ratios of all hybrids in the collection. 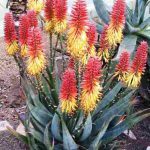 It is capable of delivering the same superior flower display year after year, provided it is fed a composted manure mulch or organic fertiliser in the growing season, which will allow the plant to rebuild its reserves.